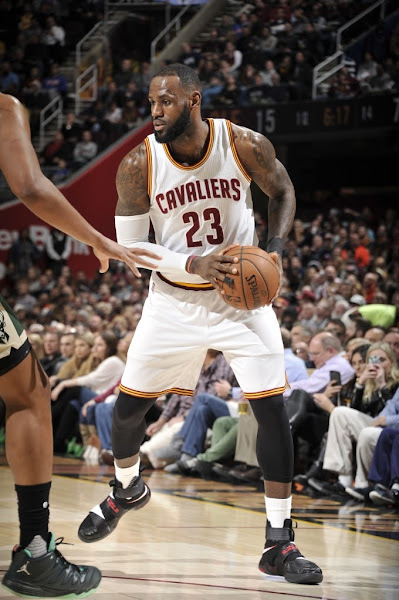 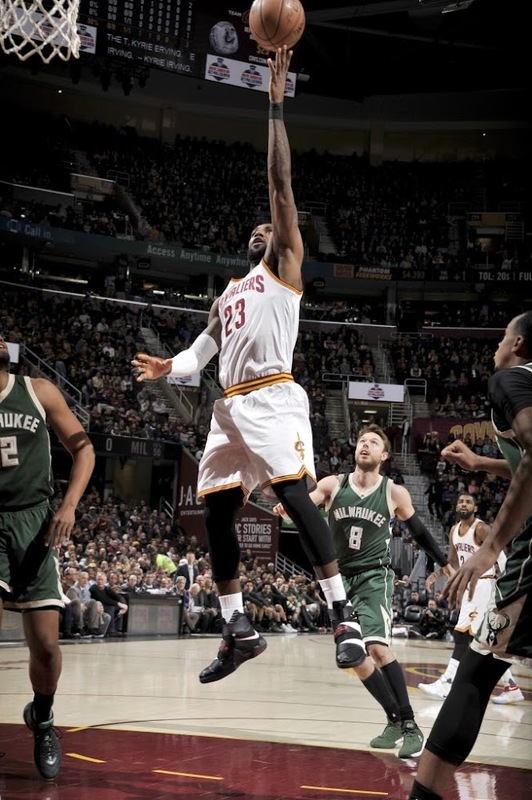 Last night, Kyrie Irving had 31 points and a career-high 13 assists, and LeBron James scored 29 as the Cleveland Cavaliers won their second game in a back-to-back affair with the Bucks. 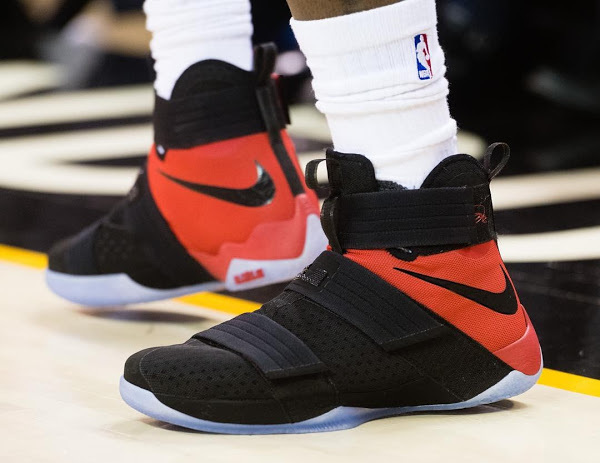 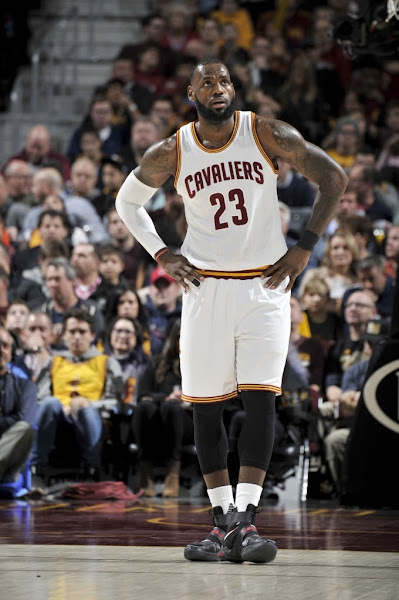 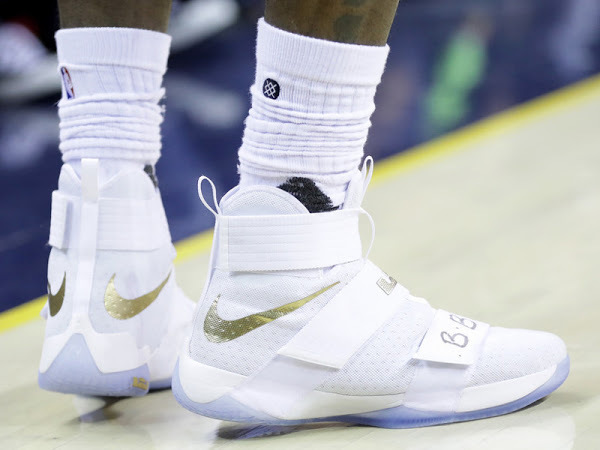 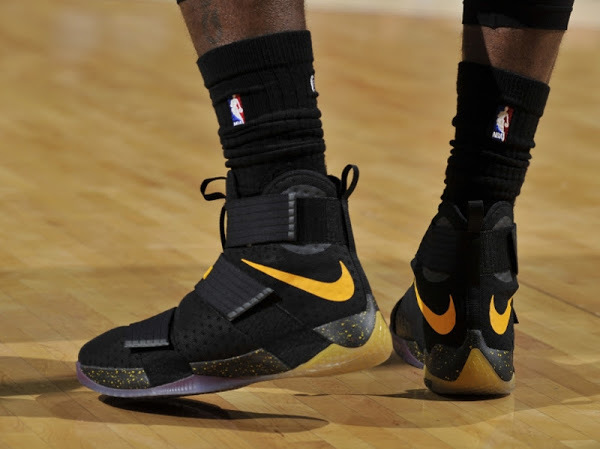 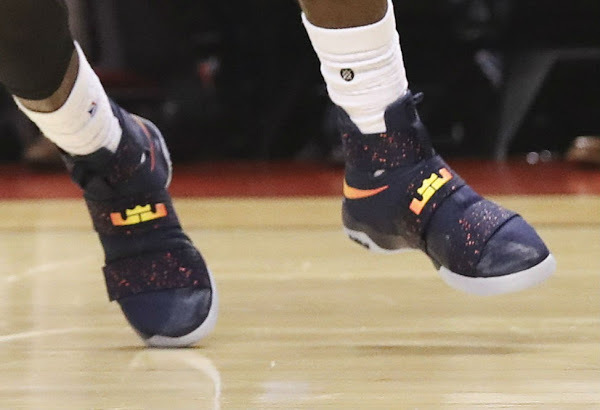 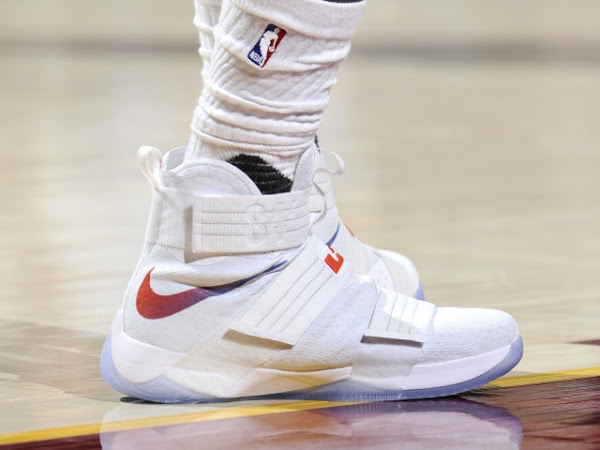 LeBron used a brand new colorway of the LeBron Soldier 10, which is this unique color blocking resembles the precursor of the Soldier series… the Zoom 20.5.5. 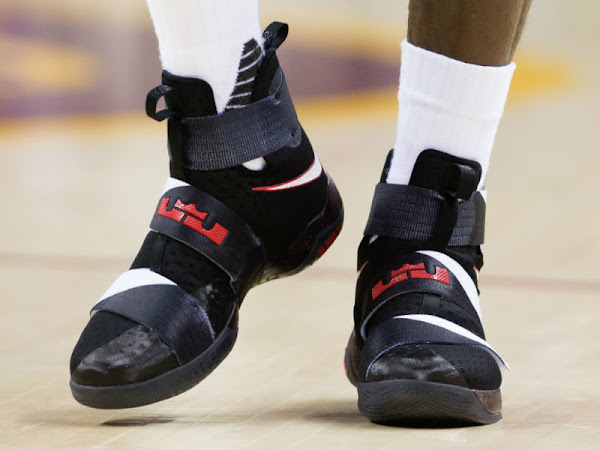 This is the first time he’s wearing the presented Black, White and Red colorway featuring multi-colored straps.